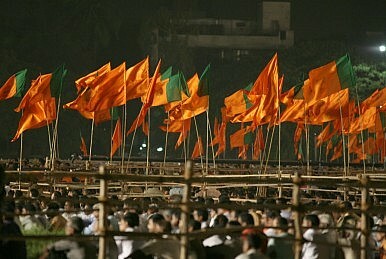 India’s ruling party joins the International Democratic Union, a grouping of global center-right parties. India’s ruling Bharatiya Janata Party (BJP) has recently joined the International Democratic Union (IDU), a group of center-right political parties from across the democratic world, headquartered in Oslo, Norway. According to India scholar Sadanand Dhume at the American Enterprise Institute (AEI), the IDU includes the Conservative Party in the United Kingdom, the Republican Party in the United States, and the Christian Democratic Union in Germany, among others. Ram Madhav, the BJP’s National Secretary, announced the BJP’s membership in the IDU in a tweet on February 25 .This move by the BJP firmly aligns it with an internationally recognized ideological position and should shed whatever lingering doubts there existed about whether it was actually far-right or theocratic in nature. It also roots India’s domestic politics in a wider, global web of party politics. India’s main opposition party, the Indian National Congress is already a member of the Progressive Alliance, a grouping of social-democratic parties that includes the Democratic Party in the United States, the Labour Party in the United Kingdom, and others. The BJP joined as the executive committee of the IDU met in Colombo, Sri Lanka, where it was chaired by Sri Lankan Prime Minister Ranil Wickremesinghe and New Zealand’s Prime Minister John Key. The Sri Lankan prime minister noted that the IDU would be greatly strengthened by the presence of the BJP, which is leading the government of the world’s largest democracy and may be the largest political party in the world. The IDU was founded in 1983 at the instigation of then-vice president of the United States, George H.W. Bush. While political organizations such as the IDU do not have enormous influence and political parties within them generally put their countries’ national interests first, they do have some clout. Organizations such as Socialist International, for example, which coordinated socialist parties throughout the world, have played a major role in spreading socialist ideas across national borders. The IDU provides a forum for center-right parties to come together and exchange ideas on policy and organizational interests and allows center-right parties to present a unified front for the promotion of right-wing politics across the world. The addition of the BJP to this group will allow it to take on a much more global flavor and move toward promoting the proliferation of similar center-right parties across the world, especially in Asia. At the present moment, the majority of the IDU’s members are in the Western world. There is hope that with the BJP joining the grouping, more center-right parties in Asia will join: at the moment, parties from Taiwan, the Maldives, Sri Lanka, South Korea, and Mongolia are members.